There are times when your phone’s music player and gallery start to show unwanted music and image files. In order to resolve this issue, some mods have been created. Your phone must be unlocked / jailbroken in order to continue with the installation of mods. Only meant to be used with Nokia Belle Refresh smartphones. Please also note that modding is only for pro users and N8 Fan Club won’t be held responsible in case anything goes wrong by following the steps mentioned. After the installation of gallery scanning mod Images / Wallpapers / DCIM folders can be used to place the images on any drive of your phone. While many other folders have been disabled for scanning from image gallery so that unwanted stuff like images from theme effects or games won’t show-up inside the gallery app. In the same way Music player gets messed up by showing audio files from games and even sound recordings. To address this issue, you just have to install the given mods on C:/Phone memory and reboot your phone. After the installation of Music Address mod, music player will only search for songs located in E:/Music or F:/Music. 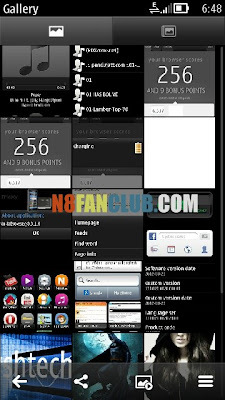 This entry was posted in Mods for N8 on by Admin.